Once again you have reached the "New Year" of your planet. As you approach the end of July 2014, a turbulent month filled with challenges, you are now ready to cross the threshold and enter into a New Year of Light, Time and Experience. Will you choose to move with the rising light and into a new level of experiences, or will you simply continue to repeat the same experiences again and again in the coming year? You may also find that while you are asked to "let go", there may be nothing that arises immediately to take its place. This may be a frightening prospect, being asked to step into a void with nothing but trust that you will be held and guided. But in truth, Beloved Ones, you have been prepared for this moment for many years. Yes, this is the moment when you are truly stepping forward as Masters of Light, Masters of Time and Space, and claiming your Core Power. You may ask....what is this Core Power of which we speak? It is a very deep inner power and knowing that you have been developing since you began your process of awakening and transformation. When you awakened, you began the process of activating your Light Body and activating your DNA in accordance with the Divine Template or Blueprint for Human LIfe. 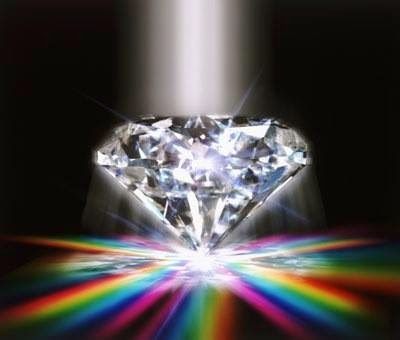 When you were ready, you were able to receive the Light Codes that activated the Christ Consciousness with its Golden Christ Light, and the Diamond Codes that activated your Galactic Consciousness and enabled you to align fully with the incoming Galactic Light Codes. The combination of an active Light Body and Light Activated DNA creates a powerful energetic flow that can be directed through the Heart and the Higher Chakras to create what we would call "Core Power" in each awakened and conscious individual. This means that you have a power and an influence that goes beyond your mind and your simple mental thoughts and judgmemnts. You have a flow of energy that is aligned with the Cosmic Heart and you can draw on that power at times when you feel blocked, challenged, or without focus and direction on the Mental level. Core Power is centered on the Heart, and it must be felt and experienced, rather than thought about. It is higher than the mental and emotional aspects of being, and is expressed primarily as feeling, passion, intuition and trust. Once this level of feeling and passion is activated in the Body/Light Body, then it can be directed downwards into the Mental, Emotional and Physical aspects of Being, allowing solutions and opportunities to manifest in an easy and natural way. As you begin to work with Core Power, you will notice two things happening. Firstly you will be challenged on many levels, and secondly you will learn to let go and allow the power to flow and create solutions in your life. The challenge will come from allowing the Core Power to take over and be the leading force in your life. Your mind and your emotions will seek to assert their control over you. They have been in control most of your life, and will be unwilling to just let go of their illusion of control. So many situations will arise where you will be confronted with a choice, to either use your Core Power, or to follow your mind and your emotions, or, as a Master to allow them to work in harmony and in balance. For the "natural" flow of energy is to engage the Core Power and then bring that through so that it may be expressed as mental, emotional and physical energies in the "real" world. Beloved Ones, in this new cycle of Time and Space that will be initiated at the New Year and within the Lion's Gate portal, you will find many opportunities to make use of your Core Power. Indeed, we can say that unless you do make use of this Core Power you may feel lost and caught up in the confusion and chaos of those around you who are still awakening to their own power and core powers. We will say too, Beloved Family, that this period of Transition on your Planet is likely to continue in the coming year and into 2016, so it really is important that you will embrace your Mastery and your Core power and work from this energy as you move forward. Now, we will say too that the Core Power needs to be used in a balanced way. Indeed, as you will know, the Divine Feminine energy has been anchored on the Planet in a wonderful way in the past years, and it is important to allow the Divine Feminine energy aspect of the Core Power to be engaged. This means to allow the Flow of Life and to be closely connected to Love, Trust and Acceptance. Know when to simply allow the flow of life to bring to you the necessary opportunities and choices, but be ready to step forward and grasp those opportunities and make those choices at the right time. Be willing to see your life as a work of art in which you are consciously choosing the shapes, forms, colors and tones that will manifest as Beauty and Harmony. But also, be willing to engage with the Divine Masculine aspects of your Core Power, in responsibility and integrity and commitment. As you make your choices, be empowered to walk in personal integrity and responsibility, being impeccable and walking in the light of honesty and truth. This includes not blaming yourself or others for choices made, and simply allowing the flow of life as it manifests into form. In your Masculine energy you will know that each form that manifests is a part of the manifestation power of Core Energy, and has a part to play in the unfolding narrative of your Timeline or Time Spirals in your life. And then, once you have made your choices, remember to follow your path and your destiny down the Timeline with Passion, Creativity and Joy! Beloved Family, now is certainly the time to remember that you have been trained to be a Master of Light and a Master Soul. You have access to Core Power and you are never alone. Always, there are Higher Energies and Angelic Forces that are on hand to assist you and guide you as you learn to engage your Core Power and to exist in the Earth Plane as a Human Angel and an Earthly Being of Light, Love and Power. As you Remember Who You Are and focus on What your are Becoming, you will find it easier to move through this great period of Transition on your Planet, and to cope with the endings and changes that are a part of the releasing of the old and the coming of the New. This will be especially intense in this period of the end of July and the beginning of August, as the new energies and frequencies of the next cycle are flooding onto the Planet. Remember also that this Transition includes the shift to the new Diamond Crystal Grids on the Earth, where you will reconnect with Nature and with the new Light Codes that are preparing to manifest a new and sustainable Earth as soon as they are called forth by those who are in training to be the new Shamans and Dream Walkers on the Earth. In the next two years, many will be called to follow the path of the New Earth Shaman, and to work with nature and the Elemental energies in bringing the New Earth into manifestation on the Planet,through Dreaming, Ceremonies and Circles of Power, as well as working with the land in programs of community and the creation of sustainable ways of being on the Earth. According to the Galactic Calendars that were kept by the Mayans and other advanced races on Earth, the "natural" New Year of the Planet is on 26th of July. Because the more traditional calendars do not keep accurate time in synchronization with Galactic cycles, the 25th of July is designated as the "Day out of Time" when the Earth realigns with Galactic time in preparation for the New Cycle of Ascension and Creation. This is a magical day filled with Joy and Creativity and Magic as the New Energy is birthed. The 26th marks the New Year itself, as the moment when the New Light Codes are fully grounded and a new cycle of creation can begin. This cycle is always experienced at a higher level of consciousness in the natural order of things, as consciousness is always evolving in an upwards spiral towards Light. However, in your old energy matrix, many have chosen not to move upwards, but to keep cycling round and round in the same old energies and making the same old choices. At this time too, those in power often try to hold the mass consciousness at a level of fear and anger by creating drama and diversion so that the Earth Collective will not "naturally" move upwards but will stay pinned in the levels of fear and violence. It is therefore so necessary, Beloved Family of Light, that you do not allow yourself to be pulled into the mass emotions at this time, but allow yourself to move on the upward flow of evolutionary energy that is "natural" in your existence on Earth. As you make this choice, individually, and by engaging your Core Power, you will enable others to also begin making this choice. The field of resonance of those making the choice to evolve provides a powerful alignment with Divine Light and enables the Planet to begin more easily aliging with Divine Light. Your choices right now are powerful and can assist the Planet on her journey into Higher Consciousness as a Collective. In the coming month of August, these energies will culminate at the Lion's Gate on the 8/8, a powerful momet of integration and grounding of the new energies and light codes, and by 12th August your new direction for the upcoming cycle will be established, both on the personal level and on the Planetary level. Beloved Family of Light, we wish you much Joy as you engage your Conscious Creator Energy and work with the Galactic Diamond Light. May you enter into the Clarity of Heart, Soul and Mind as you create a New Cycle of Time on Planet Earth. If you would like to learn more about the Diamond Light Frequencies and the incoming Diamond Codes, we invite you to read Celia Fenn's new book with Activations by Archangel Michael. New Moon in Leo Tarot Reading is posted! The Ohio State University Marching Band was also known among insiders for a culture that facilitated sexual harassment, an investigative report said. When I Stop Struggling, I Float. It Is The Law. The Corporation of Your Media - Dan Rather, Glenn Beck Flash Cards, Speech That Got Judge Napolitano Fired From Fox News! This First ONe WOW!! !, & The second video, and The third, do not miss!!! UFO over Studio City, California 14-Jul-2014: and MANY MORE ALL OVER THE WORLD....TAKE A PEEK. No More Denying!!! Latest posts on LUFOS! Here’s you’ll find all the recent articles, researches, UFO videos, alien news and many more. All in one place! -Elizabeth gives cobra update from June 9 -First 10 mins of 1st audio is played -10,971 people left on the ships -Julien shares the dreams he had the night the pick-ups happened -He shares the experience of his is parallel life, the "other Julian" who went -Actually experienced it with him in dream time -The "four-legged" appearance is a technology they use to adjust to standing on the surface of the planet in our density -Julien clarifies miracles/technology, dimensions/density -What the 11,000 are going through/experiencing aboard the ship (less dense reality) -They're living in a holographic "village" which was prepared for them -It's meant to seem familiar to them, Pleiadians are around to answer questions -Experiencing initial physical discomfort without typical "food" -Going through deprogramming -This was considered a radical move on the part of the Pleiadians by other Galactic groups -But their level of empathy with us was such that they could better understand the depth of the outcry -Julien's plans to collaborate with the Pleiadians more publicly -Richard Rockefeller was taken aboard a ship, he did NOT die in a plane crash -Julien speaks about connecting with your Guides -What dreams really are -Moods and attracting reality -Ego/higher self and how they work together -Cabal is very vulnerable now with absence of 11,000 -Children of the cabal -Imminent Pyramid Hierarchy collapse -Questions to the Pleiadians: -What is their perspective on the pick-up? 3 answer who have positioned themselves in "townhalls" to answer questions -Much religious deprogramming (particularly for the large concentration from the Middle East who went) -The Annunaki role -The group is missing their families and inquiring about ways to keep tabs on or remote track the loved ones they left behind -They are learning to understand why they made such a choice as to participate on Earth in the way that they did -Elizabeth's question: what can we do down here to assist with our shift? Follow exploratory state of mind.. it will teach you your own heart -Book a session with Julien to speak directly to Pleiadians (jwsessions.simplybook.me), he will be doing more public Q&A, and wishes to remind people they can ALL do this themselves -Offer yourself to be perceived by them, define contract parameters -www.Julienwells.com thanks Crystal Walker...FOR writing this update.